The Sculptor Galaxy is also called the Silver Coin galaxy in the RASC Observers Handbook. 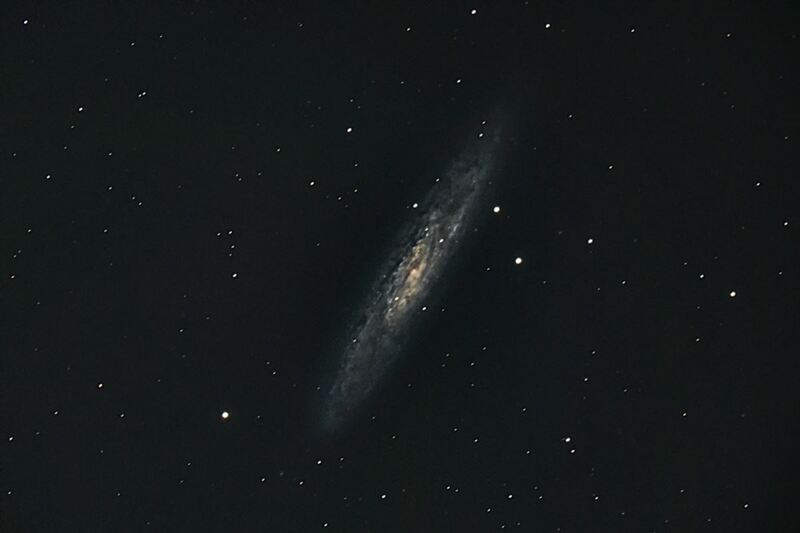 The official New General Category number is NGC 253 and is listed as a spiral galaxy in the constellation Sculptor. It is a bright galaxy with a visual magnitude of +6.99. Seeing the Sculptor Galaxy through our 8″ telescope with a 40mm eyepiece is amazing. It was a fairly bright night with a three quarter moon above our heads. Not the perfect conditions for deep space photography, which tells you the brightness of the Sculptor Galaxy. Caroline Herschel discovered the Sculptor Galaxy on September 23, 1783. The Sculptor Galaxy, under dark clear skies, can be viewed through binoculars and is a great target for novice astrophotographers, such as us, to practice their skills. Having a Canon 1DX DSLR camera allows us to push the ISO high without introducing a lot of noise. Therefore this camera is ideally suited for low light shooting. Tethering the camera to a Mac laptop, we use Canon EOS utility software to then capture the images. Firstly you focus the deep space subject, using the telescopes focus knob, on the screen, getting this as sharp as possible. Then it’s a simple case of hitting the button to take each individual frame. Always ensure you use use mirror lockup. Enabling mirror lockup alleviates any consequential camera shake. Then it’s simply one push of the shutter button to activate that function, pause for about 6 seconds to reduce any shake, and hit the shutter button again to take the shot. The beauty about using the Canon EOS software is you are able to control all camera functions and settings on screen. Once you have plugged the camera into the telescope and tethered it to your PC, everything can be done on screen. Pixinsight software was used to stack the images taken on the night. The brightness of the moon caused us not to take too many images. We didn’t want to waste too much time processing images that may not have been good enough. We are relatively pleased with the final image of the Sculptor Galaxy this time around. 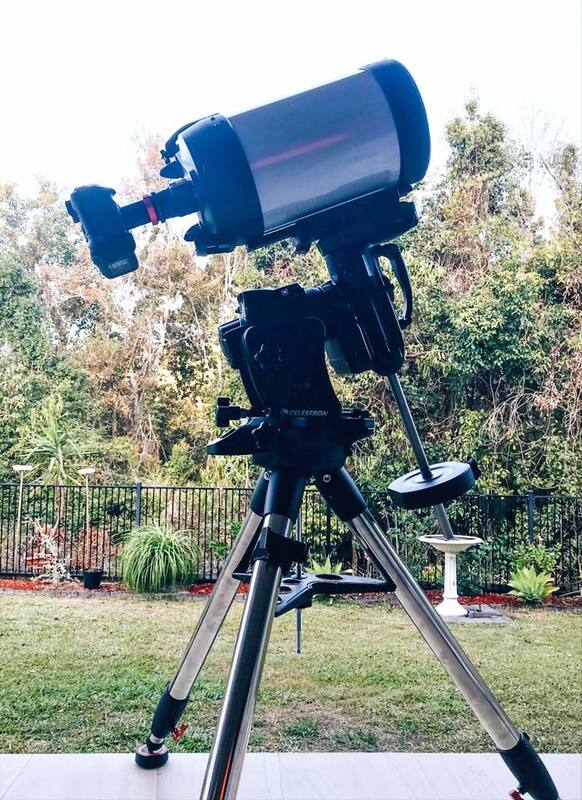 Now looking forward to adding more frames when conditions are better for astrophotography of deep space objects. Dark nights with little to no moon are perfect. The Sculptor Constellation will still be visible in our part of the world for the next new moon event. Sign-up for our online photography course and learn how to take better photos in easy to understand “at your own pace” lessons.